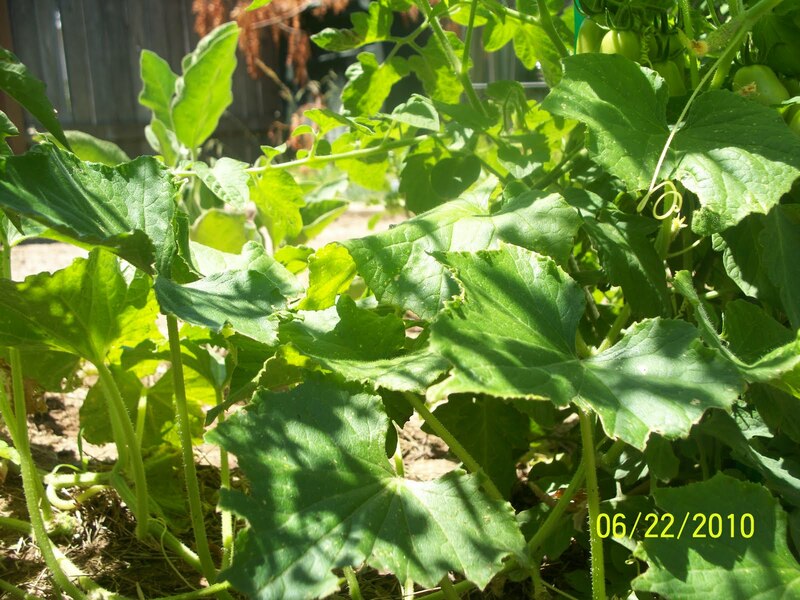 These photos didn’t turn out very well, but trust me they are my cucumber plants. 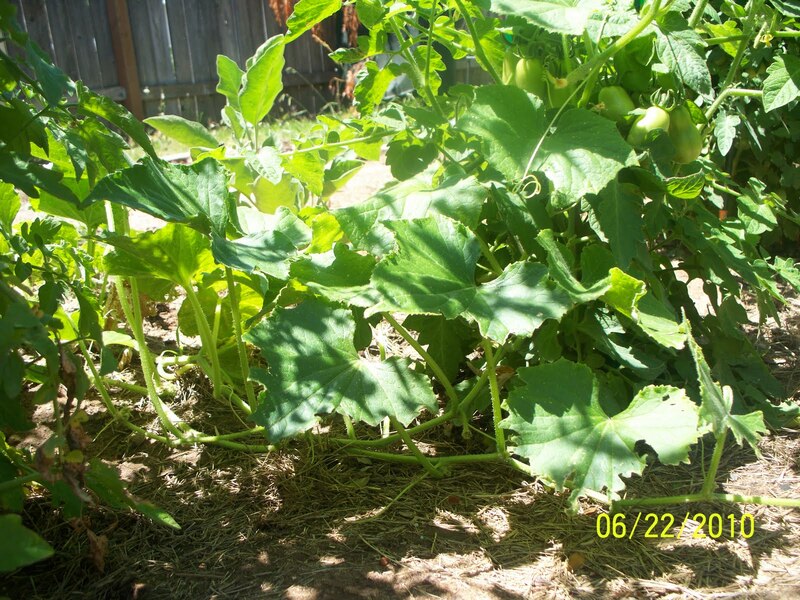 This is my third garden out here in California and the third time I planted cucumbers. It is also the first time that they did not die. Cucumbers need a lot of water. During the hot dry summers if you don’t water them enough they can die. Finally this year I figured it out. I found this tasty Cucumber Salad recipe on the Food Network website. Slice the cucumber lengthwise, remove the seeds, and slice thinly. Thinly slice the onion. In a colander, toss the cucumber and onion with the salt and let it sit and drain for 20 minutes. Press the liquid out of the vegetables and rinse well with cold water. In a medium bowl combine the vinegar and sugar and stir well. Add the cucumber mixture and toss to coat. Stir in the dill. I’m going to try it and let you know how it turns out. 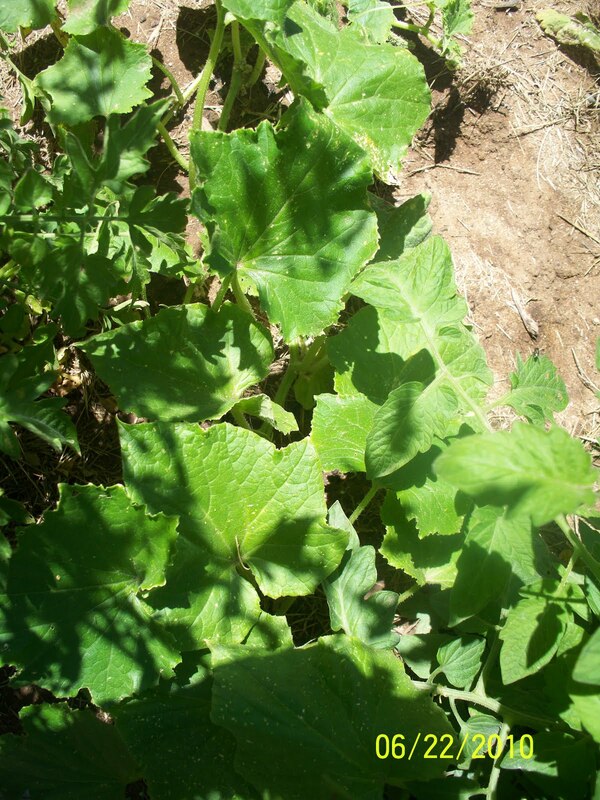 But I will be substituting English cucumbers for the regular ones that I am growing in my garden. Do you think they are doing so well because it's been pretty mild thus far? Angie- You are probably right. The temperatures have been about 10 degrees below normal so far in June. We'll see how the rest of the summer goes. Oh I love cucumber salad… just ate some a second ago in fact! I totally should have planted a garden this year. They are beautiful! I'm only growing peppers and tomatoes this summer. I can't grow a thing but I love eating what my mother grows! I love cucumber salad. Your recipe sounds delicious. Mine is simple with just lemon juice, a little sugar, and salt and pepper. Liza, your recipe sounds good too. Thanks for stopping by! It's looking great. I wish I had a garden so I can plant vegetables too. I love cucumber in salads and sandwiches. Yum! They look great! I love how you added the nutritional facts and thr recipe. If they're that thirsty, I'd have a heck of a time with them. We have super sandy soil! I just discovered these mini cucumbers at Sams Club. They are so good! Harriet – I've never seen mini cucumbers before. Thanks for stopping by! Mine are starting to look like that. thanks for the lots of water tip. I am new to this gardening thing. We love cucumbers, especially in a Greek salad. Yummy! Cucumbers are a fave of mine! Happy WW! I'm glad they're doing well for you this year! That's awesome!! I bet you have tons of them now!! I planted cucumbers but they died. Now that I read this I wonder if I didn't water them enough. I'll have to try again next year! Your garden must be huge! You have a lot of different veggies! I LOVE planting cucumbers. The kids (and myself) love eating them raw with a little bit of salt. I love cucumbers! They're the perfect summer vegetable. So refreshing! Thanks for stopping by and linking up the other day Cascia. I'm a bit late, but I made it nonetheless. Have a great day.